Our club's focus has always been our youth and helping them achieve their dreams of becoming successful and productive individuals. We had the honor to present 6 outstanding Toms River high school students checks to pursue their education dreams. 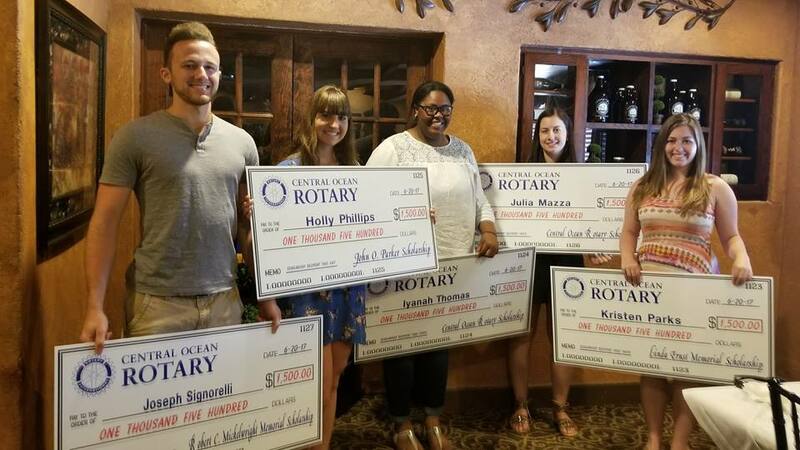 Join us in congratulating: Julia Mazza, Holly Phillips, Iyanah Thomas, Kristen Parks, Joseph Signorelli and Samantha Goodyear (not pictured) wishing them a bright future ahead. Be bold, be courageous, be your best!